Q. With all the greenery around Al Ain, it is hard to believe that we are in a desert. What is a desert? A. A desert has been defined as an area with an annual rainfall of less than 350mm (14 inches). The annual precipitation in Al Ain is about 100mm, so by this definition the town is definitely in a desert region. The greenery is the result of the local oasis, enhanced by an ambitious program of watering greenbelts and roundabouts. Q. What is an oasis? A. It is an area of vegetation in the desert due to the presence of ground water relatively close to the surface that can be tapped by roots and / or shallow wells. Q. Why is there an oasis in Al Ain? A. Because of the constriction of underground water flow between the bedrock ridges (Fig. 1) which forces the ground water closer to the surface. Judging by the archaeological evidence there has been human habitation in the Buraimi - Al Ain oasis since the local Stone Age (4000 BC). Water levels have dropped drastically in recent years because of over - pumping. Q. What are the major physiographic features of the Al Ain Region? A. 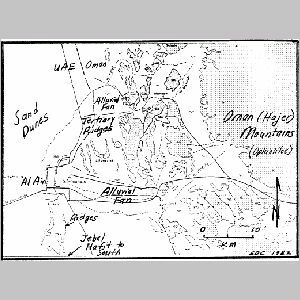 These are the Oman Mountains (Hajar Mountains) to the east, the alluvial fans that apron the mountain fronts, Tertiary ridges (like Jebel Hafit) and the sand dune desert. 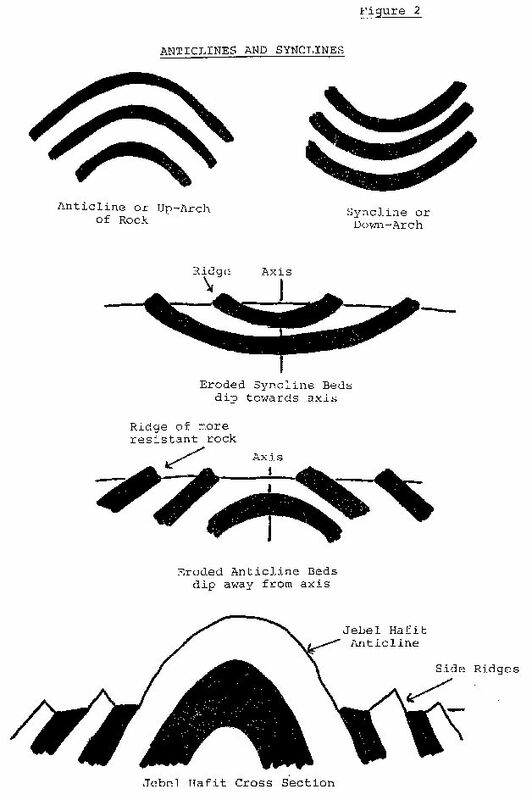 The geological formations are summarized in Table 1 and the physiographic units are outlined in Fig.1. Q. What is so special about the Oman Mountains? A. The Oman Mountains are composed primarily of ophiolites. This is Ocean - crust rock that has been thrust up out of the Indian Ocean, not normal ocean - deposited rock (like shale and limestone) but the crust upon which these sediments are usually deposited. This igneous (once molten) rock is massive and relatively uniform. The jagged peaks of the Oman Mountains are ophiolite rock. Q. 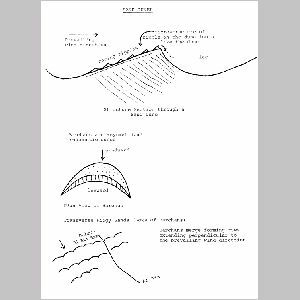 What is so special about the Tertiary ridges? 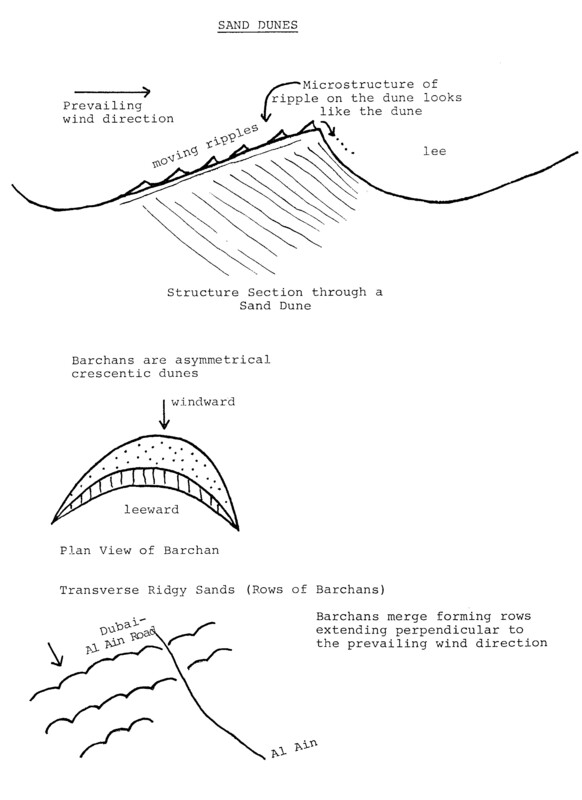 What are Tertiary ridges? Q. How can a ridge be called 'Fossil Valley'? A. This is a misnomer. Q. What is the origin of the fossils in Fossil Valley? A. The Tertiary limestone was deposited in a shallow sea. At the end of the Cretaceous period and beginning of the Tertiary, about 70 million years ago, there was a flourishing of life in this shallow sea and the remains can be found in the rocks there. Gastropods, corals, brachiopods and rudists are abundant. Q. What is the origin of all the sand in the UAE? A. The sand comes from the erosion of pre - existing rocks into sand - sized particles. Possibly one major reason why there is so much sand is because during the Ice Ages (which ended about 20,000 years ago) the seabed was about 100 meters lower, so that the Arabian Gulf seabed was exposed high and dry. This may have provided the source for much of the wind - blown sand. Q. Is there any pattern to the sand dunes? A. 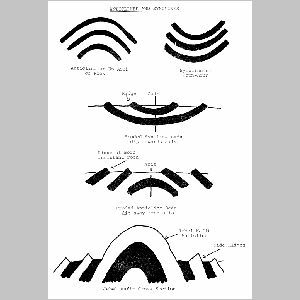 Figure 3 shows some sketches of the patterns. The typical sand dune in the UAE is a barchan. 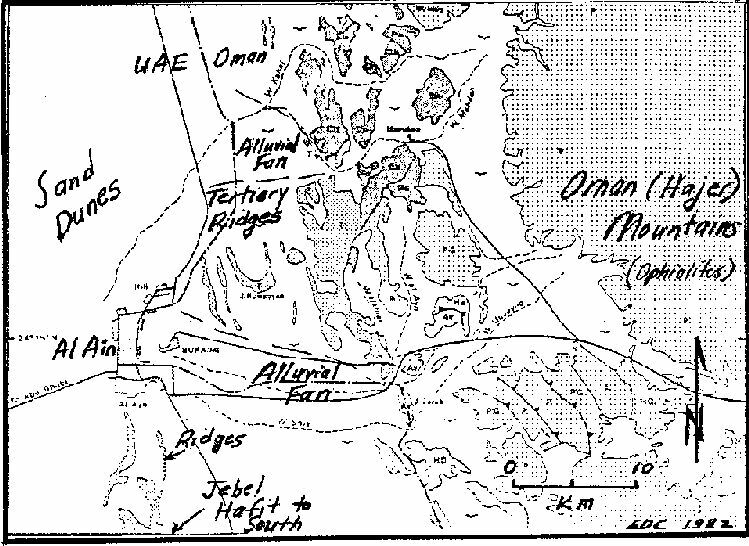 There are rows of barchans linked together in ridges running roughly NE - SW between Al Ain and the Abu Dhabi coast.